This stuff is all over the mountain. 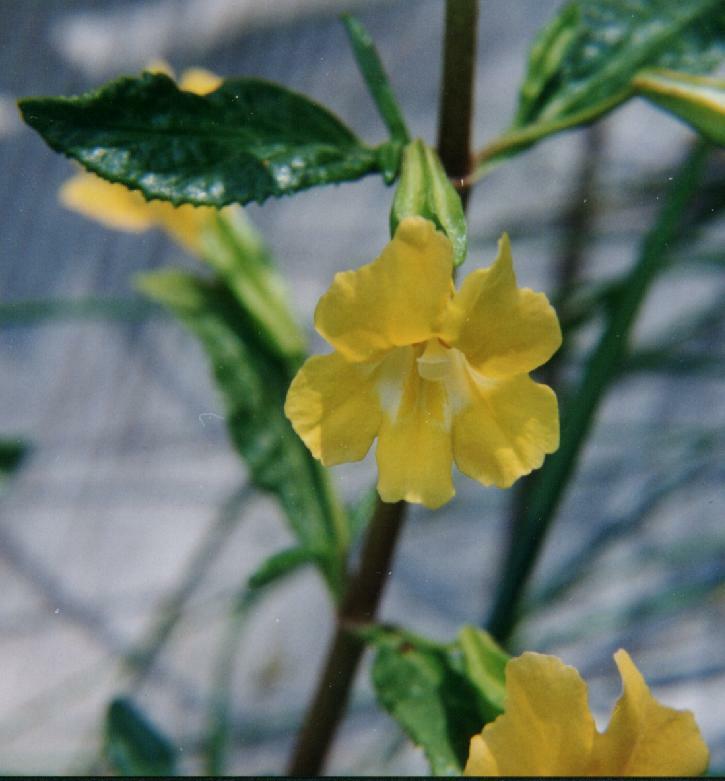 There are over 80 species of Mimulus in California, with ten of them occuring in the Santa Cruz Mountains. The one pictured is the largest and most common. It is the woody stemmed, somewhat unpleasantly sticky variety. 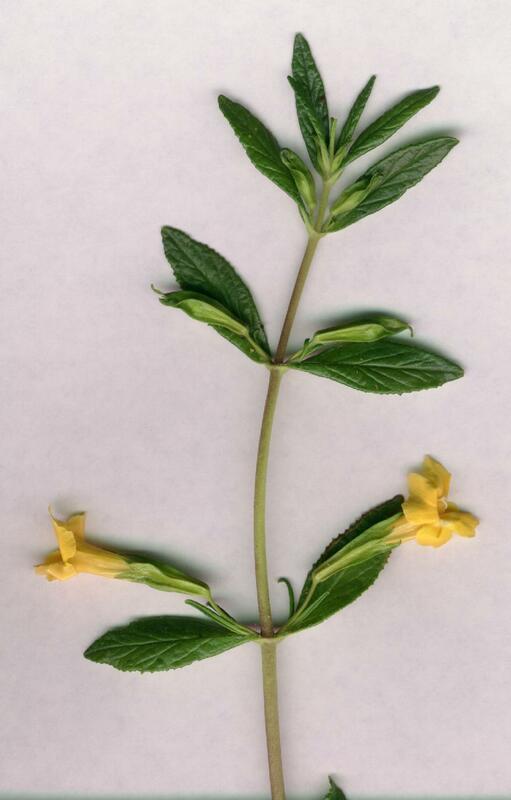 The smaller non-woody varieties were used by Indians, who ate the young stems and leaves. The root was used as an astringent, and the crushed plant as a poultice for rope burns and minor wounds (much the way we use Witch Hazel). The photo above was taken at the Lakeview Bird Farm, as was the large scan below.